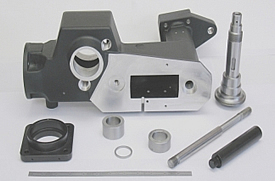 Stephens Precision Incorporated is a highly versatile HUBZone manufacturing facility in Vermont registered to ISO 9001, AS9100 (rev D) and ITAR and specializing in the machining of mechanical assemblies, components, and tooling. We serve a varied portfolio of aerospace, defense, commercial and research customers. 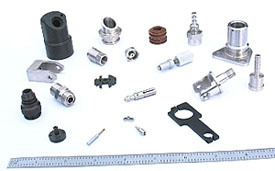 Working with a wide range of partners, we can offer solutions to needs from prototype through volume production, assembly and vertical integration. Our Kanban, ship-to-stock and blanket order programs as well as spot-buys for spares, assist many of our customers in their efforts toward lean manufacturing and cost control, and we enjoy frequent reports of 100% quality and 100% delivery ratings from Boeing and many others in the aviation arena. We are a Woman-Owned Small Business, established in 1981. Our recent HUBZone registration, along with WOSB helps primes achieve their diversity/disadvantaged business goals. We also have a Federal Firearms license. 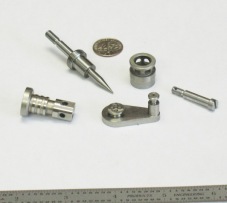 Stephens Precision began in 1981 as a tool room for the aircraft industry with close ties to many of the R&D and engineering firms spawned from Dartmouth College in Hanover, New Hampshire. We are a Woman-Owned Small Business with approvals from a number of Aerospace prime contractors who benefit from the experience of our President, who has a background as a pilot, aircraft owner, and A&P mechanic. Our key to success has been control of our processes yielding quality, accuracy, and consistency. Our clients appreciate our attention to all aspects of the job from checking details of the contract to the accuracy of the final count and care in packaging of your parts for shipment. We are proud of our clean, air-conditioned facility and temperature controlled Quality Control Department in Bradford, Vermont and welcome you to visit us. ITAR registration enables us to handle military-sensitive projects. Objective # 1: 100% customer acceptance. Objective # 2: 100% on time delivery. Strong partnerships with customers and vendors. Low employee turnover provides consistency. Temperature controlled QC room to plus/minus 1 degree F.
Prototype & small production runs. Dedicated and highly skilled workforce with an aerospace background. 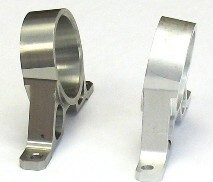 Aluminum including: 6061-T6, 2024-T3, 7075-T6. Low carbon and tool steel. High temperature plastics including Vespel.